This product is not intended to diagnose, treat, cure or prevent any disease. **Results may vary from person to person. *Representations regarding the efficacy and safety of Panitrol XL have not been evaluated by the Food and Drug Administration. The FDA only evaluates foods and drugs, not supplements like these products. These products are not intended to diagnose, prevent, treat, or cure any disease. 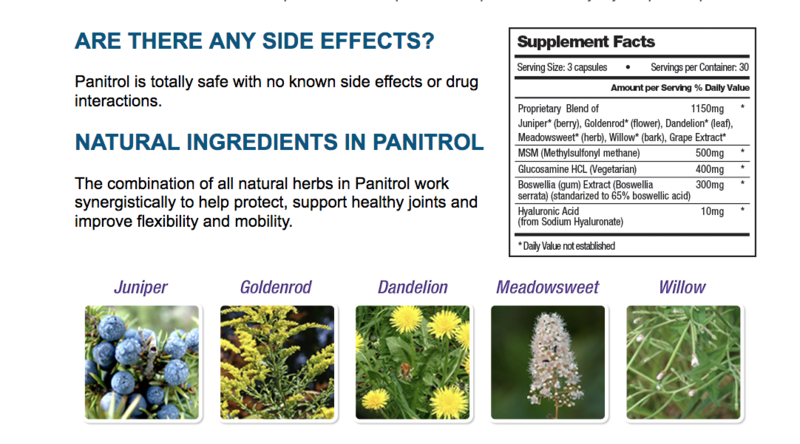 Click here to find evidence of a test, analysis, research, or study describing the benefits, performance or efficacy of Panitrol XL based on the expertise of relevant professionals."